Should your business hire a social media agency? This is a thought we are certain every business owner has had sometime in the past couple of years. The importance of social media for marketing, customer service and research has grown exponentially over the last 5 years. This growth has made having a social media presence a requirement for businesses, regardless the industry. If this change has you scrambling around trying to figure out how to adapt, you aren’t alone. In fact, thousands of social media agencies are now making a business out of helping other businesses, that lack expertise or time, manage their social media presence. In this post we will discuss how you can decide if your business should hire a social media agency. Social media agencies are a fairly new thing, so chances are a lot of businesses aren’t fully aware what types of services they provide. Of course, they help manage your social media presence, but what does that actually entail? It is important to note that though some agencies offer all of these services, most specialize in a few areas. In part 2 of this series we will go into deeper detail about the different types of social media agencies. You will want to evaluate your needs and then try to find an agency that specializes in those areas. Most of the time, specialists are better than generalists. Before you can decide if you should hire a social media agency, you will need to identify what your digital marketing needs are. Though, hiring a social media agency might seem like a no-brainer, you may be surprised how much you can handle in-house. You may have existing employees capable of handling some or all of the tasks required. Hiring a new dedicated social media manager is an option as well. Start with the list above of the services agencies offer. With that list in mind, add additional tasks that would be required for your business’s specific needs. Now, figure out which tasks on that list cannot be completed in-house, with the current staff you have. Some tasks, such as accepting new followers or handling questions can be handled in-house, while more tactical tasks like Facebook Ads should be left to someone with experience. Armed with your list of needs, you are now ready to make the decision between an in-house social media manager and a social media agency. You now know what social media agencies do and you have identified your business’s social media needs. It is now time to make a crucial decision, should you hire an in-house social media manager or outsource your social media needs to an agency? Many businesses assume they have to hire a social media agency, without first assessing what their current team or an in-house social media manager could do. Below are the pros and cons of each option. – More Control: When you hire an in-house social media manager, they become an employee. With this comes the ability to easily oversee what they are doing and also gives them an inside look that an agency might not have. When it comes to branding, an in-house social media manager benefits from experiencing the culture on a daily basis. – High Priority: Your in-house social media manager only has to focus on your brand. This can be a major advantage. Agencies have several clients, which can make your business less of a priority depending on the situation. – Works With Rest of Team: Your social media manager will be working alongside your other employees, which we believe is a major advantage. With marketing, sales and customer service slowly morphing together, your social media manager will have important information for your sales and customer service teams, and vice-versa. Great social media agencies will have a solid line of communication, but often times an in-house social media manager works better. 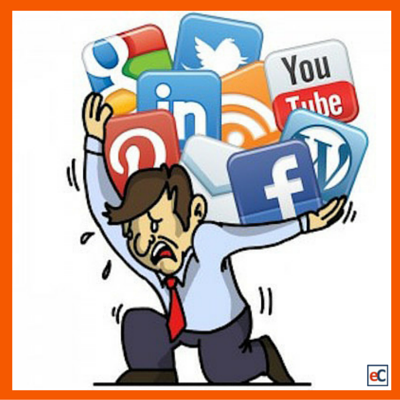 – Harder to Vet Candidate: Hiring a social media manager can be difficult for many businesses. If you lack experience, how do you know when a qualified candidate walks in for an interview? Agencies have reputations and other clients, which can make finding what you need much easier. – Limited Skillset: There is no marketer in the world that is an expert at everything. This means your social media manager will have holes in his/her skillset. Agencies typically have experts for each required skill. – More Expensive: Ok, this isn’t 100% true. Depending on how you structure payment, an in-house social media manager could be cheaper. However, make sure you factor in expenses such as benefits and office equipment before you jump to the conclusion that an in-house social media manager is cheaper. Since social media agencies have scale working for them, your monthly cost will typically be lower. – They Are Experts: Simply put, these people are experts. Not to say you can’t find an in-house, expert social media manager, but agencies with happy clients are typically trustable and remove a lot of the risk. – Saves Time: Since social media agencies have a lot of experience, they are typically more efficient. They already have all of the tools, connections and resources needed to manage your social media presence and grow your business. – Full Team: Most agencies have several employees, which means differing skillsets. This can be a luxury for businesses. Imagine how much it would cost to employ an in-house design expert, SEO consultant, content creation guru, etc. When you hire an agency, you are hiring a whole team of experts. Each handling what they are best at. – Less Control: Anytime you outsource something you lose some control. Smart businesses know that this is ok, but it is worth mentioning. – Less of a Priority: Now this isn’t true with all agencies, but we had to bring it up. Simply put, agencies have many clients. This means your business is not their only priority. When you have an in-house social media manager, you know that their focus is solely on your business. – Harder To Communicate: When you have an in-house social media manager, communication is simple. Hiring an agency can complicate this process a lot. How often will you speak? Will you do so in person or online? Consider all of this communication logistics before deciding which option works better for your business. You should now be able to decide if your business should hire a social media agency or not. If you have decided that you do need to hire a social media agency, you will want to check out Part 2 of this series, where we will discuss what type of social media agency is right for your business. Do you want more content like this delivered straight to your inbox? Subscribe to our blog below!